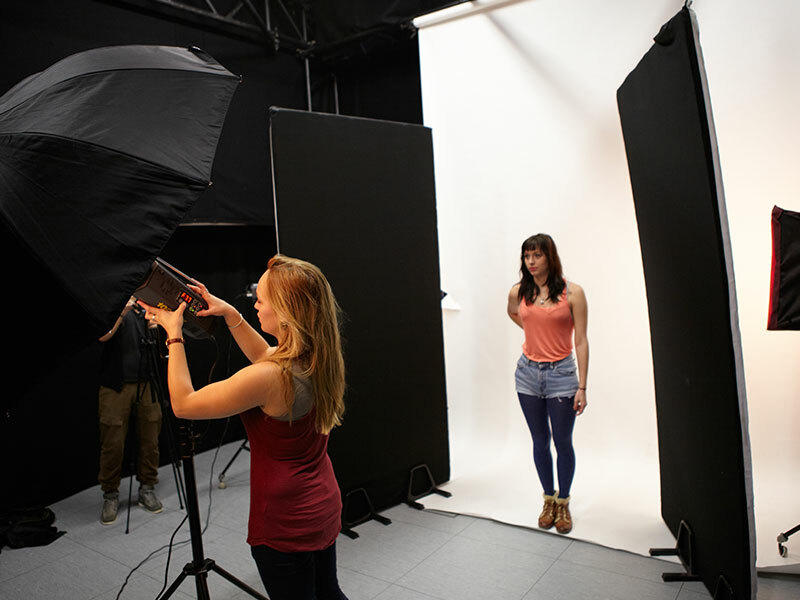 Equipped with a range of professional studio equipment from tabletop still life work to full-length model photography. 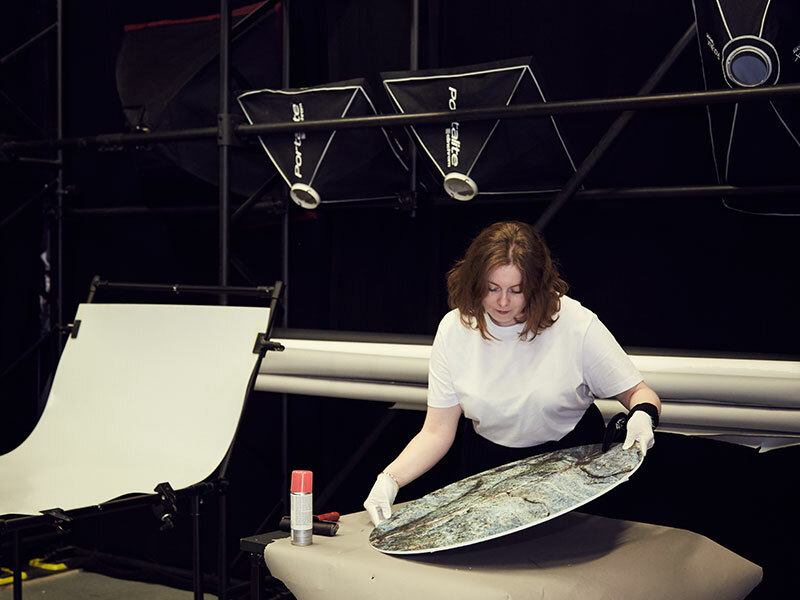 The studio includes a full blackout studio with flexible options for configuring the layout to suit the varied requirement of individual and taught study. 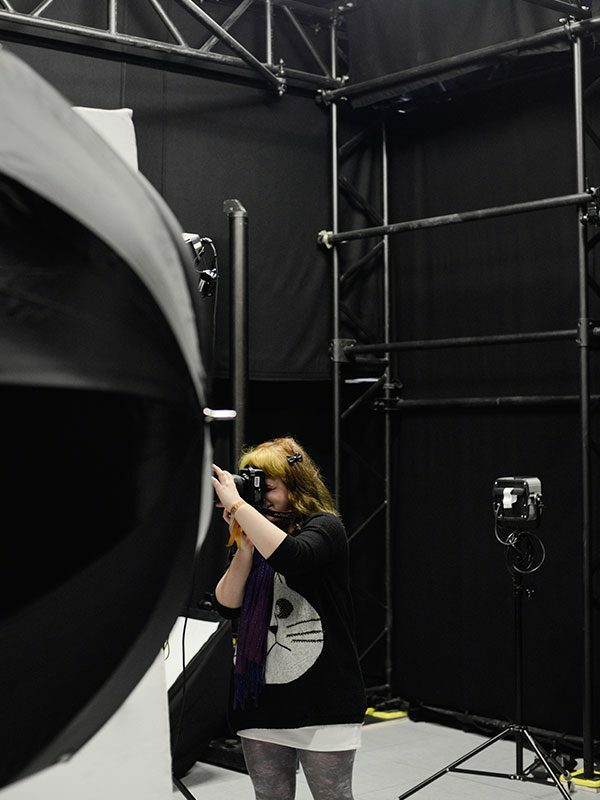 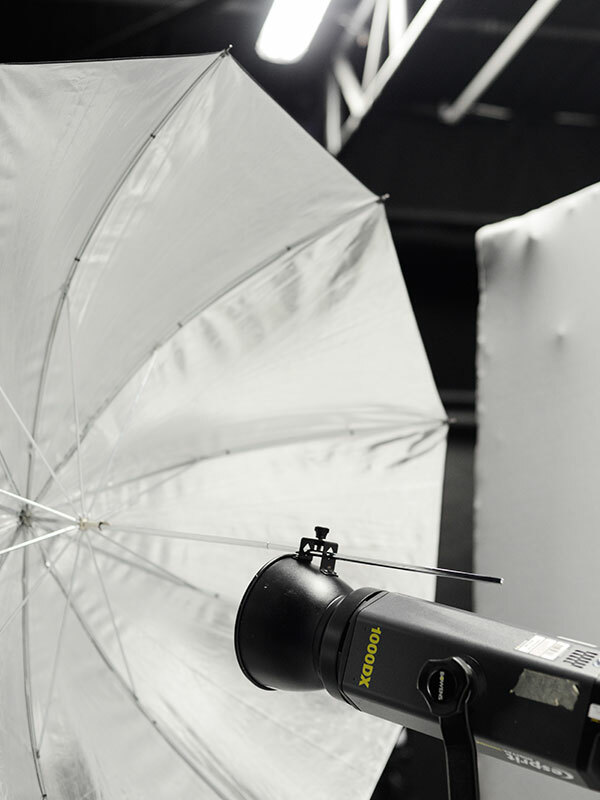 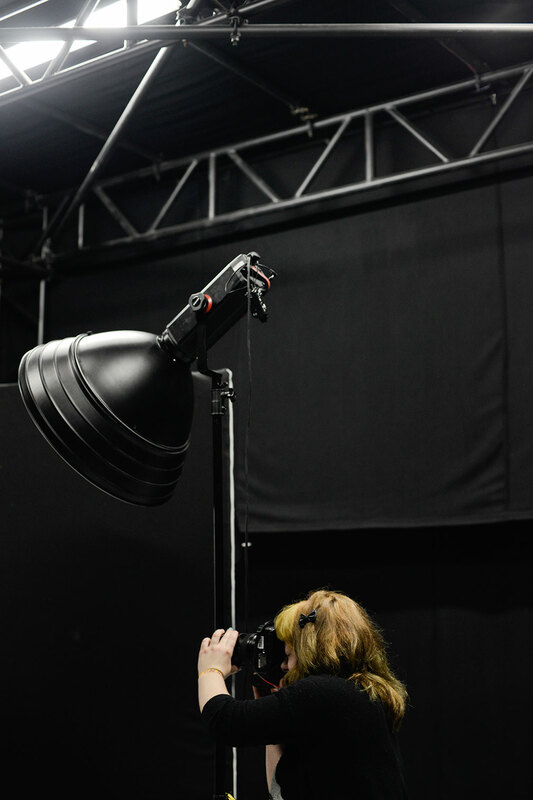 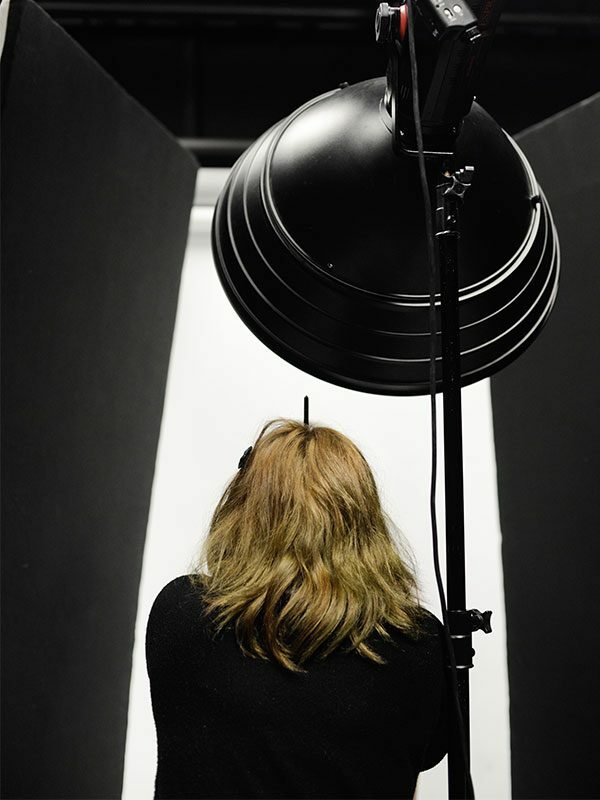 Professional DSLR camera kits with specialist lenses; medium format digital camera kits and a full range of professional studio lighting, camera supports and accessories are provided for use in the studio.